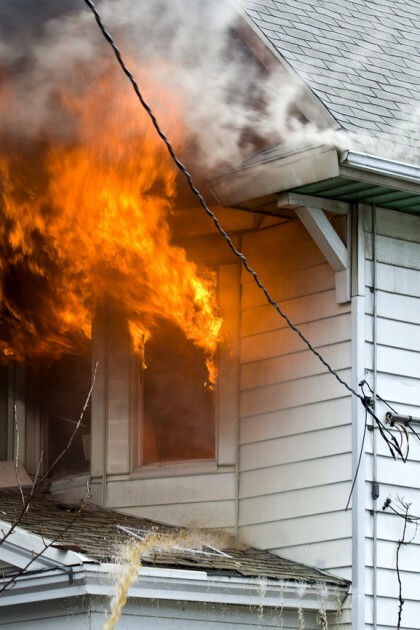 An experienced Portland personal injury attorney discusses a recent electrical home fire in Portland, pointing out possible options for compensation for homeowners in similar situations. A house fire that erupted on Northeast Wasco Street in Portland this past Friday has been determined to have resulted from faulty wiring in the home, according to Portland Fire Department investigators. Fire officials reportedly responded to an emergency call last Friday afternoon and found the home engulfed in flames, with fire reportedly shooting out of the top of the home’s roof. Although no one was in the home when the fire broke out, fire officials reportedly rescued three animals from the burning home – three dogs and a cat. About $80,000 in damage was caused by this electrical fire. Product manufacturers if defective electric appliances somehow contributed to the home fire. About 4 in every 5 fire deaths results from a home fire. Those with the greatest risk of dying in a home fire include children younger than 5 and adults older than 65. The most common causes of home fires include cooking, careless smoking, heating, arson and faulty wiring/defective products. Although more than 90 percent of U.S. homes have smoke alarms/fire detectors, it’s common for people to not maintain these alarms, which can lead to them not working in emergency situations. Nearly 40 percent of home fires and upwards of 50 percent of home fire deaths are associated with hones that did NOT have smoke alarms. Have you been harmed by a defective product? If so, it’s time to contact an experienced Portland personal injury attorney at the Savage Law Firm. Since 1977, our lawyers have been devoted to providing each of our clients with personal attention, respect and the highest quality legal services. Our commitment to meeting the highest professional standards of legal representation motivates us to consistently build our clients the strongest possible cases, be accessible to our clients at every stage of their case and do whatever it takes to help them obtain the best possible outcomes.